Adara L. Combs | The Barristers' Association of Philadelphia, Inc.
Adara L. Combs was born and raised in Philadelphia. Her interest in law began in middle school when she found herself constantly advocating for others- family members and classmates included. As a young girl she was always interested in how the government and legal system worked, and had a strong desire to effectuate change. Adara attended The Philadelphia High School for Girls where she graduated in 2005. After high school, Adara attended Franklin and Marshall College. While there, she pursued a double major in government and public policy and a minor in economics. Adara served as President to the Black Student Union, and as an executive board member of the Women’s Center at Franklin and Marshall. In addition, throughout her time at F&M, she was always very involved with campus issues. 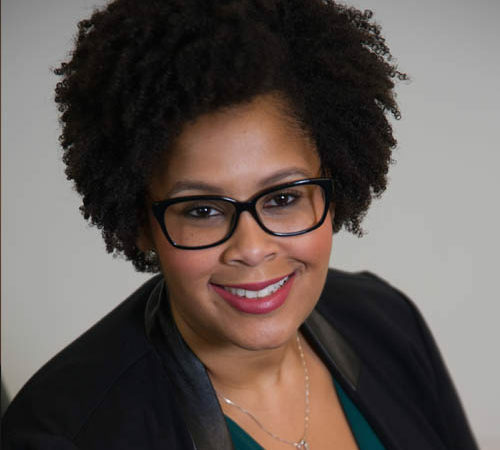 After completing her undergraduate degree, Adara became a paralegal in the Pre Adjudicatory Juvenile Diversion Unit of the Philadelphia District Attorney’s Office. While there she monitored The Youth Aid Panel program, and worked to divert first time offenders from the juvenile justice system. It was her time as a paralegal that solidified her desire to become a prosecutor. In the fall of 2011, Adara entered The Beasley School of Law at Temple University as a first year evening student. While maintaining her position with the DA’s Office, Adara worked to obtain her Juris Doctorate, and Trial Advocacy Certificate. While working, and attending law school, Adara volunteered with the Homeless Advocacy Project, and also worked in other divisions of the DA’s Office as a certified legal intern. Upon completion of her Juris Doctorate and Trial Advocacy Program, Adara accepted an offer as an Assistant District Attorney, and has prosecuted a range of cases. She is currently assigned to the Trial Division, where she prosecutes major level felony crimes that take place in the Northeast section Philadelphia. In addition to working for the District Attorney’s Office, Adara also serves as the Secretary of the National Black Prosecutor’s Association. Having deep roots in the Philadelphia, Adara has strong ties to the city. Her desire to become an attorney stems from those roots, and she hopes to extend her service to the city through her work with the Barrister’s Association of Philadelphia.